Standard optical tweezers rely on optical forces that arise when a focused laser beam interacts with a microscopic particle: scattering forces, which push the particle along the beam direction, and gradient forces, which attract it towards the high-intensity focal spot. Importantly, the incoming laser beam is not affected by the particle position because the particle is outside the laser cavity. Here, we demonstrate that intracavity nonlinear feedback forces emerge when the particle is placed inside the optical cavity, resulting in orders-of-magnitude higher confinement along the three axes per unit laser intensity on the sample. 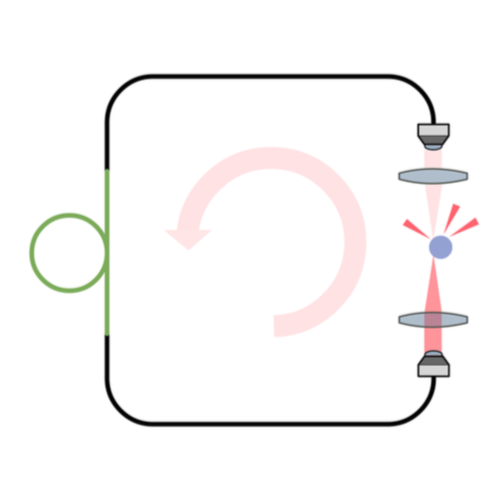 We present a toy model that intuitively explains how the microparticle position and the laser power become nonlinearly coupled: The loss of the laser cavity depends on the particle position due to scattering, so the laser intensity grows whenever the particle tries to escape. 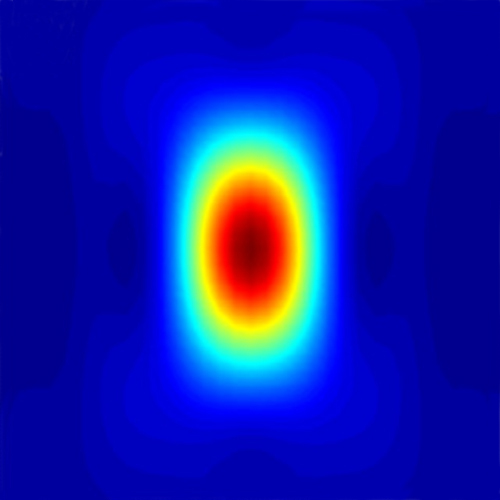 This scheme allows trapping at very low numerical apertures and reduces the laser intensity to which the particle is exposed by two orders of magnitude compared to a standard 3D optical tweezers. We experimentally realize this concept by optically trapping microscopic polystyrene and silica particles inside the ring cavity of a fiber laser. These results are highly relevant for many applications requiring manipulation of samples that are subject to photodamage, such as in biological systems and nanosciences. Review on Optical Tweezers published in J. Quant. Spectrosc. Rad. Transf. Optical tweezers, tools based on strongly focused light, enable optical trapping, manipulation, and characterisation of a wide range of microscopic and nanoscopic materials. In the limiting cases of spherical particles either much smaller or much larger than the trapping wavelength, the force in optical tweezers separates into a conservative gradient force, which is proportional to the light intensity gradient and responsible for trapping, and a non-conservative scattering force, which is proportional to the light intensity and is generally detrimental for trapping, but fundamental for optical manipulation and laser cooling. For non-spherical particles or at intermediate (meso)scales, the situation is more complex and this traditional identification of gradient and scattering force is more elusive. Moreover, shape and composition can have dramatic consequences for optically trapped particle dynamics. Here, after an introduction to the theory and practice of optical forces with a focus on the role of shape and composition, we give an overview of some recent applications to biology, nanotechnology, spectroscopy, stochastic thermodynamics, critical Casimir forces, and active matter. Posted on July 18, 2018 August 1, 2018 Author adminCategories ArticleTags Alessandro Magazzù, Cristian Degli Esposti Boschi, Francesco Patti, Giovanni Volpe, Maria Antonia Iata, Maria Grazia Donato, Onofrio M. Maragò, Paolo Polimeno, Philip H. Jones, Pietro G. Gucciardi, Rosalba SaijaLeave a comment on Review on Optical Tweezers published in J. Quant. Spectrosc. Rad. Transf. Since the pioneering work of Arthur Ashkin, optical tweezers (OT) have become an indispensable tool for contactless manipulation of micro- and nanoparticles. Nowadays OT are employed in a myriad of applications demonstrating their importance. 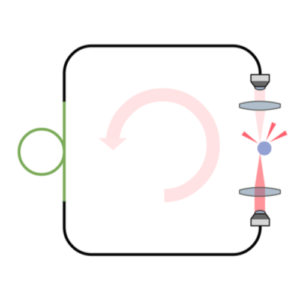 While the basic principle of OT is the use of a strongly focused laser beam to trap and manipulate particles, more complex experimental setups are required to perform novel and challenging experiments. 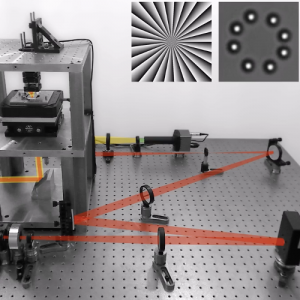 With this article, we provide a detailed step-by-step guide for the construction of advanced optical manipulation systems. First, we explain how to build a single-beam OT on a homemade micro- scope and how to calibrate it. Improving on this design, we realize a holographic OT, which can manipulate independently multiple particles and generate more sophisticated wavefronts such as Laguerre–Gaussian beams. Finally, we explain how to implement a speckle OT, which permits one to employ random speckle light fields for deterministic optical manipulation. 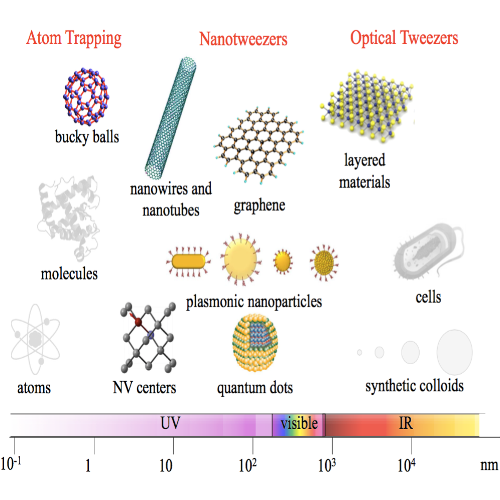 Review on Optical Trapping of Nanostructures published in Nature Nanotech. Optical trapping and manipulation of micrometre-sized particles was first reported in 1970. Since then, it has been successfully implemented in two size ranges: the subnanometre scale, where light–matter mechanical coupling enables cooling of atoms, ions and molecules, and the micrometre scale, where the momentum transfer resulting from light scattering allows manipulation of microscopic objects such as cells. But it has been difficult to apply these techniques to the intermediate — nanoscale — range that includes structures such as quantum dots, nanowires, nanotubes, graphene and two-dimensional crystals, all of crucial importance for nanomaterials-based applications. Recently, however, several new approaches have been developed and demonstrated for trapping plasmonic nanoparticles, semiconductor nanowires and carbon nanostructures. Here we review the state-of-the-art in optical trapping at the nanoscale, with an emphasis on some of the most promising advances, such as controlled manipulation and assembly of individual and multiple nanostructures, force measurement with femtonewton resolution, and biosensors. Posted on November 7, 2013 June 8, 2018 Author adminCategories ArticleTags Andrea Ferrari, Giovanni Volpe, Onofrio M. Maragò, Philip H. Jones, Pietro GucciardiLeave a comment on Review on Optical Trapping of Nanostructures published in Nature Nanotech.